Europe's Commissioner for Migration was in Albania on Monday signing a draft border management agreement with the West Balkan state. The Commission hailed the deal as strengthening the EU's external borders. Under the agreement, European border agency Frontex can deploy to Albania in case of a sudden wave of migrants. "Albania now has an historical window of opportunity to firmly bind its future to the EU," Commissioner Dimitris Avramopoulos said after the signing. "This agreement will allow for the future deployment in Albania of EU border and coast guard teams"
Brussels hopes the deal will serve as a role model for similar agreements with other countries in the region. Albania shares a border with EU member state Greece. It is itself a candidate for European membership and hopes to begin negotiations later this year. The two parties also signed a Memorandum of Understanding to help police narcotic drugs. 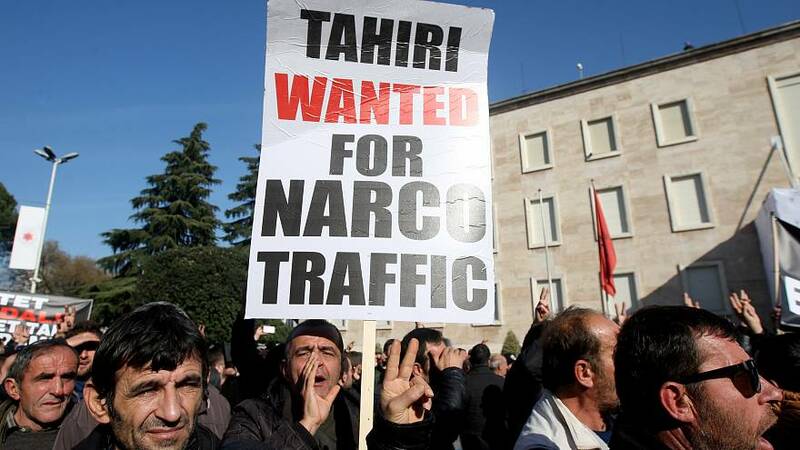 Once a major drugs crossroads, Albanian authorities have been cracking down on the production and trafficking of marijuana. Since 2014, the government has seized hundreds of tonnes of the drug and destroyed millions of plants. Prime Minister Edi Rama's government has set tackling the country's illegal marijuana production as a main goal. Serbia and Montenegro: EU joiners by 2025?